Mike Morgan is the Group Environmental Manager for BBA Aviation. He joined the company in September 2009 and has global responsibilities for compliance and sustainability. Prior to coming to BBA Aviation, Mike was the Senior Manager of Sustainability at Delta Air Lines, developing a strategic plan and implementation of Delta's sustainability programs. 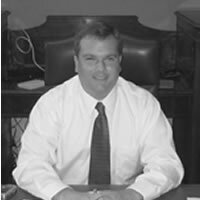 Mike is a graduate of Auburn University and holds a degree in Environmental Science. He has over 20 years of experience in the Environmental field, including 15 years in Aviation. Mike also serves on the Board of Directors for the Clean Air Campaign, a non-profit organization based in Atlanta. He lives with his wife and son in Atlanta, Georgia.